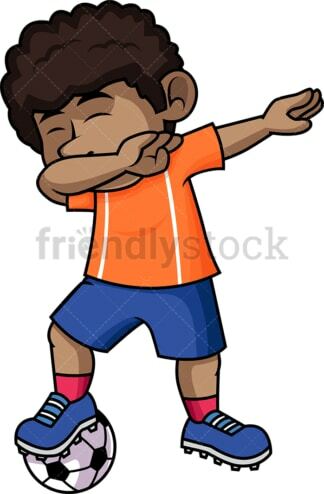 Royalty-free stock illustration of a little African American boy – football player, closing his eyes and swinging his arms to do the dab dancing move. 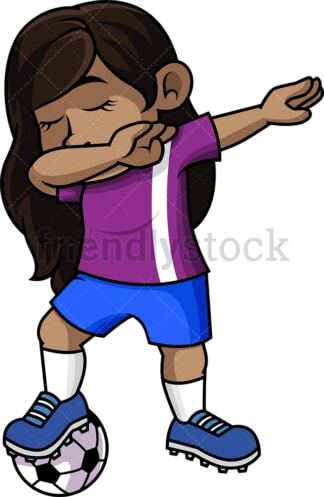 Royalty-free stock illustration of a little African American girl – football player closing her eyes as she swings her arms to do the dab dancing move. Royalty-free stock illustration of an African American boy – basketball player closing his eyes and swinging his arms to do the dab dancing move while holding a b-ball. 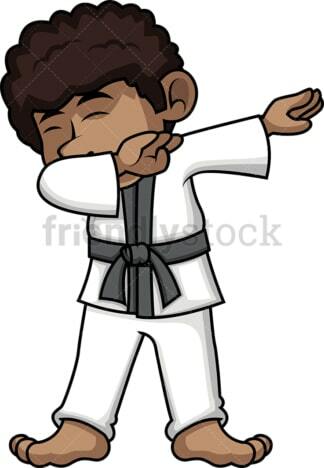 Royalty-free stock illustration of a little African American boy – karate student closing his eyes and swinging his arms to do the dab dancing move while in uniform. 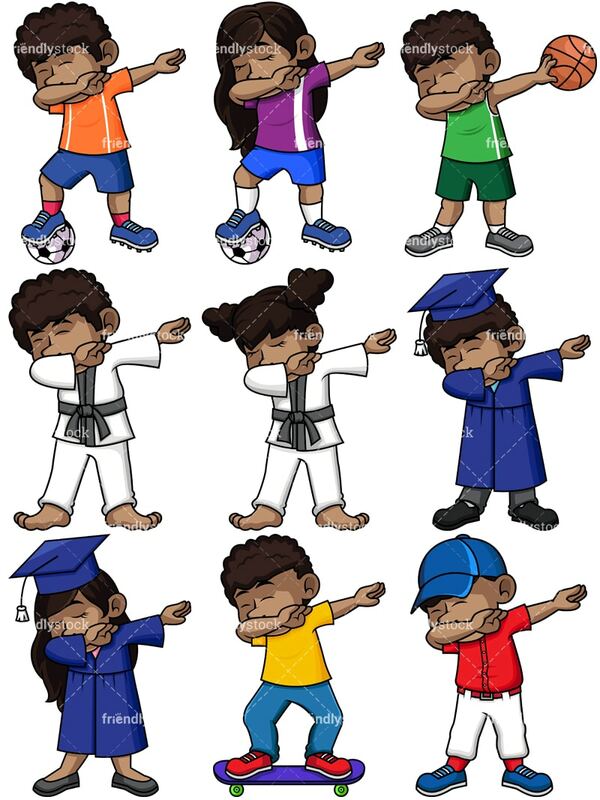 Royalty-free stock illustration of a little African American girl – karate student closing her eyes and swinging ger arms to do the dab dancing move while in uniform. Royalty-free stock illustration of an African American boy in graduation gown, wearing a square hat, closing his eyes and swinging his arms to do the dab dancing move. Royalty-free stock illustration of an African American girl in graduation gown, wearing a square hat, closing her eyes and swinging her arms to do the dab dancing move. Royalty-free stock illustration of a little African American boy skateboarding while closing his eyes and swinging his arms to do the dab dancing move. 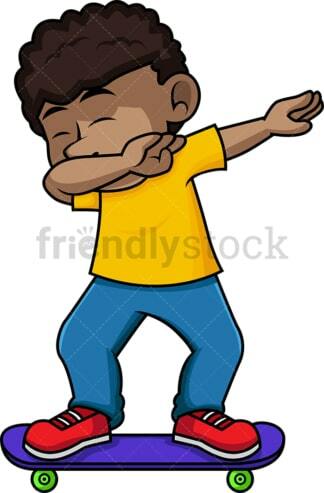 Royalty-free stock illustration of a little African American boy in baseball uniform, closing his eyes and swinging his arms to do the dab dancing move.